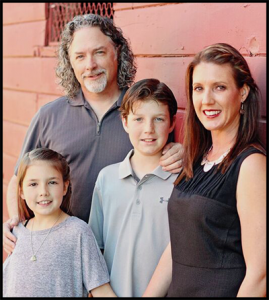 To maintain the quality of life in Roseville, Stephanie’s priorities, if elected, support what families love about Roseville as she too works, plays and raises a family in Roseville. Goals for strategic success include safety, and maintaining core services along with a lean and efficient budget. Serving the community in a variety of ways is essential to Stephanie. Stephanie enjoys volunteering and was most recently appointed by the Roseville City Council to the Community Priorities Action Committee also known as Engage Roseville which was a year-long community effort to involve residents, businesses, and others who have a stake in Roseville’s quality of life, in prioritizing city services and developing options to align service levels with revenues. Serving the community is a top priority, and after completing the Roseville Chamber of Commerce Leadership Roseville in 2012, Stephanie sought out different ways to help her community. Serving as Tri-Chair for the Chamber of Commerce Business Showcase 2013, 2014, and 2015, and various other Chamber committees. Stephanie applied for and was appointed to the Economic and Development Advisory Committee in 2013 and the Grants Advisory Commission in 2014. Education is one of many passions, and she was appointed to the Placer County Office Education for School District Organization committee. She has also served the past five years on the Roseville City School District Foundation and current co-president. In 2015 she volunteered for Coyote Ridge PTA as Vice President of Fundraising. Continuing her passion in serving she served on the Roseville City Library Foundation as president. Outside of education, Stephanie volunteers on the Invest Health Roseville advisory team advocating for public health within Roseville.